Who could make a sing-along the coolest thing ever? 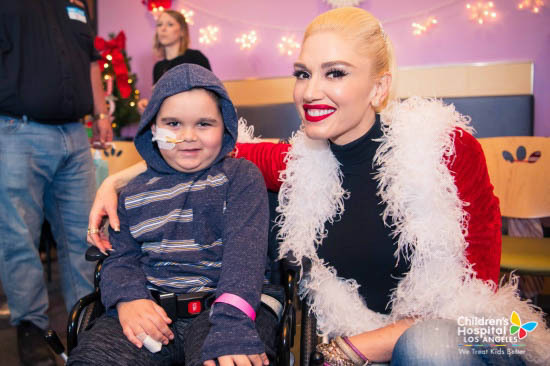 Gwen and songwriter Justin Tranter, along with their crew, brought festive cheer to the Family Lounge at Children’s Hospital Los Angeles. Lights, Christmas trees and holiday headbands set the mood as Gwen and Tranter sang for over 40 patients and their families. This day seemed like the perfect time to celebrate with a holiday sing-along since Gwen’s new album, You Make it Feel Like Christmas, just went No.1! Gwen sang a few classics, like Jingle Bells and White Christmas, but also sang her own holiday song and, of course, Hollaback Girl. One patient also came up to sing with Stefani! 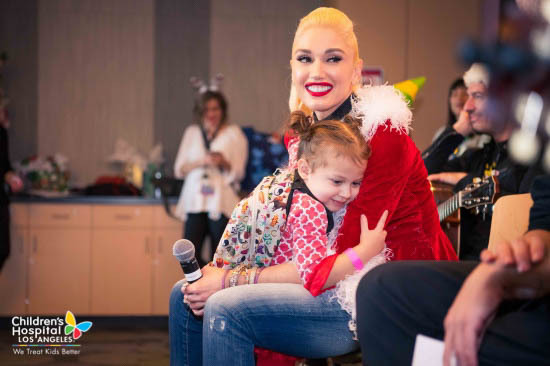 Along with the mini concerts, Gwen also answered questions and talked about how music has been a healing mechanism for her personally throughout the years. 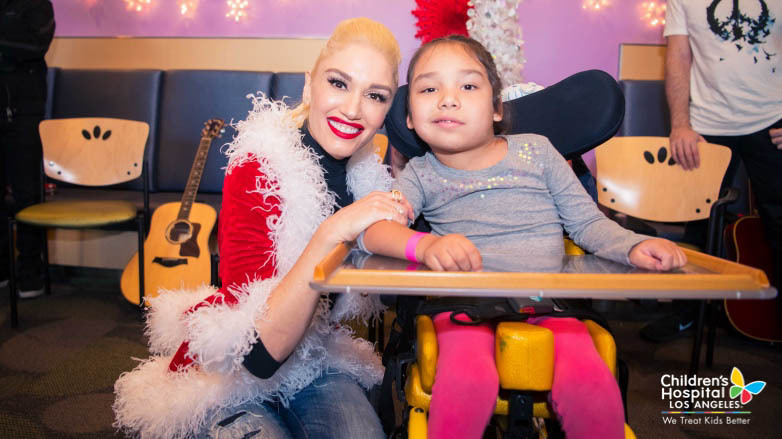 Every patient who attended was able to receive a signed copy of Stefani’s holiday album and a stuffed toy. 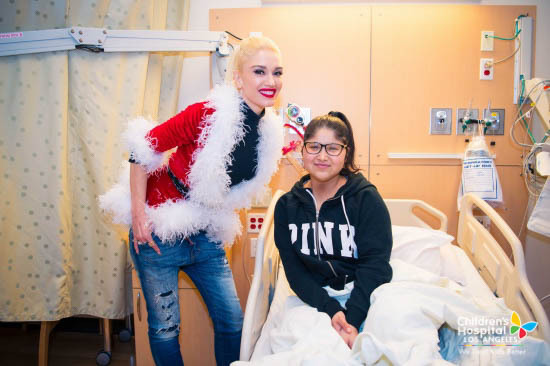 Gwen also stopped by a few rooms to visit patients who were unable to come to the event. Thanks to Gwen, Justin and their whole team for this fun, amazing day!